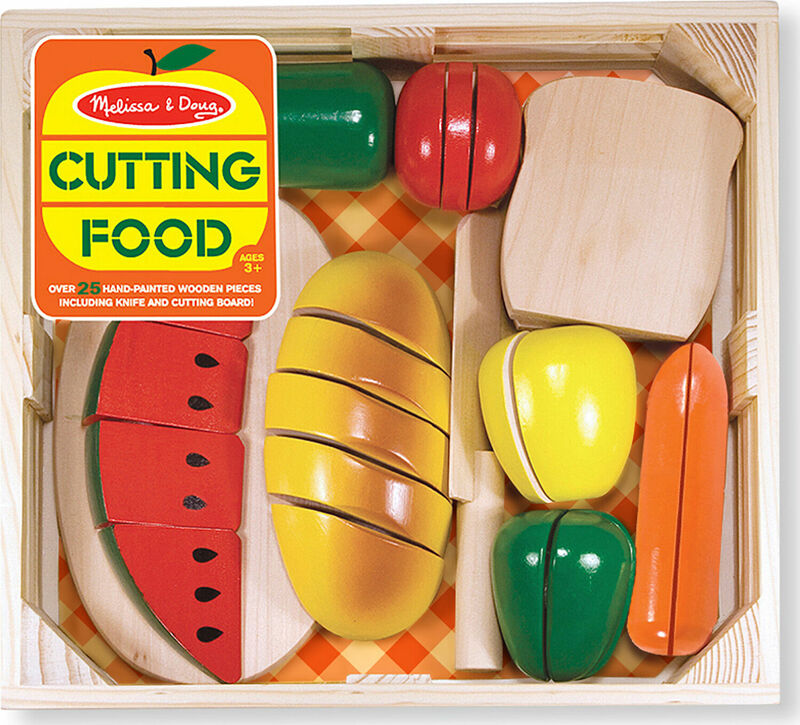 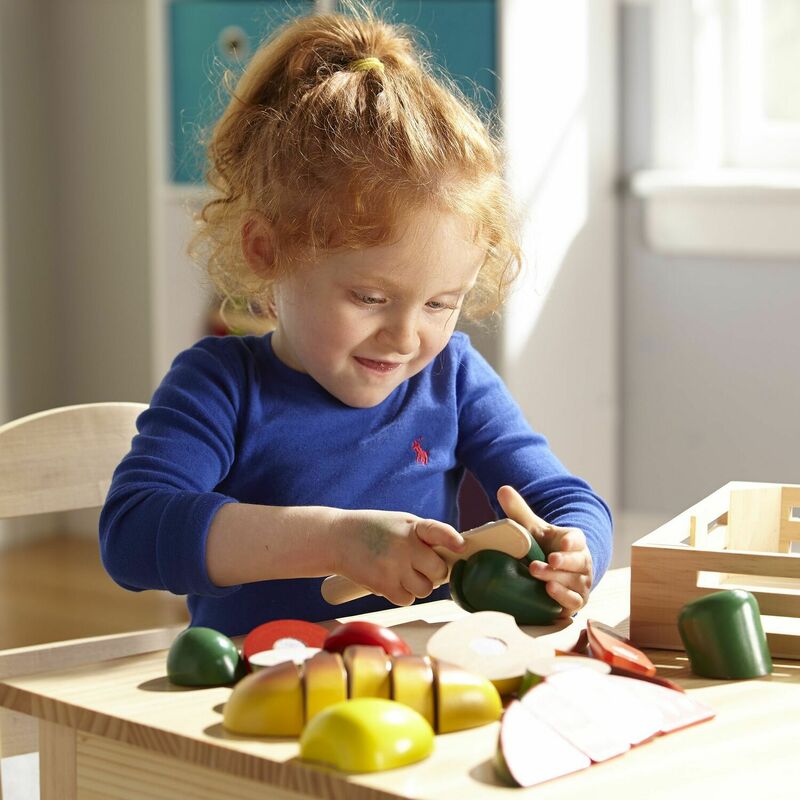 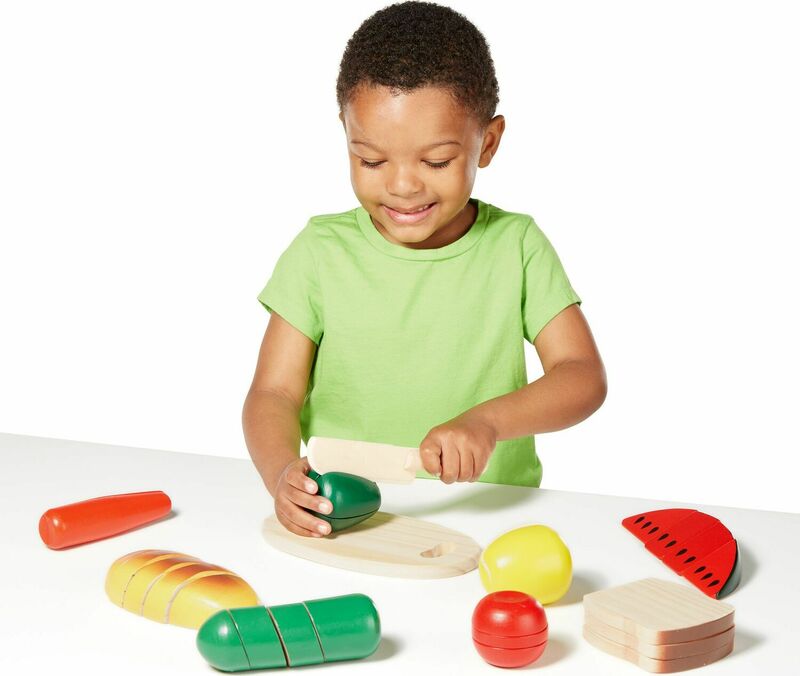 This set contains eight pieces of wooden food, a cutting board and a wooden knife. 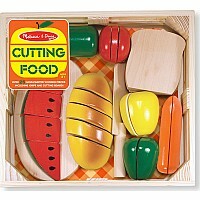 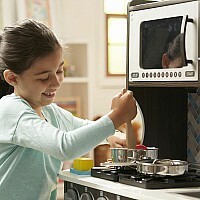 Cutting the food makes a satisfying "crunch" - and a playful introduction to concepts of "whole," "part," and fractions. 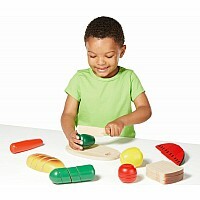 Measures approximately: 11.40 x 10.80 x 2.50 inches..